At the beginning of book three Telemachus the son of Odysseus travels to Pylos to meet with great elder Nester. There he is treated with royalty and is informed on some knowledge about his father Odysseus. Then, after traveling to Pylos, Telemachus travels to Sparta to get information from Menelaus and Helen. In Sparta Telemachus get information that Odysseus is on Ogygia with Calypso and the he is still alive. Telemachus then travels home where he is not expecting what is going to happen! Meanwhile Odysseus is being seduced by the beautiful Calypso. She will not let him go but Zeus send down Hermes to set Odysseus free. He build a raft and takes off on his long journey. 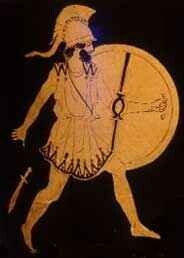 Nestor- Nestor is the kind of Pylos and he was a former soldier in the Trojan War. Nestor is a very clever and well spoken man. In book 3, Telemachus visits him to ask about his father, but nestor does not know where he is located. Helen- Helen is the wife of Menelaus and the queen of Sparta. Helen is the most beautiful women in the world. 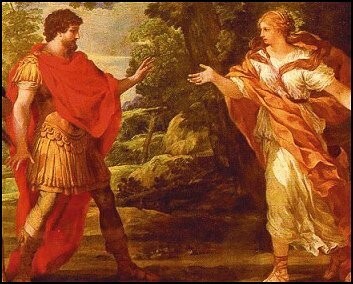 She offers Telemachus help to try and find his father. Calypso- Calypso is the beautiful nymph who falls in love with Odysseus after he lands on her island. Calypso hold him there for 7 years until they persuaded her to let him go. 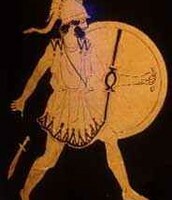 Menelaus- Menelaus is the King of sparta, brother of Agamemnon, and husband of Helen. He helped lead the greeks in the Trojan War. He offers to help Telemachus in his journey to find Odysseus. This is meaning in the context that a gods mind can be changed with enough bribery. This is meaning that he relies on his fate so that he is comfortable. He also is able to resign himself to accept that he is suffering. 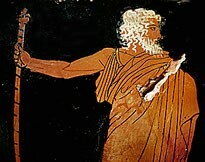 Odysseus’s fate is common knowledge among all gods. Theme: We think that the theme of these books is hospitality because whenever Telemachus is traveling around whenever he ends up somewhere he is getting treated like royalty and get so much hospitality because it is important to treat your guests. Even when Odysseus is getting held by Calypso he is treated to good food and as bad as this sound herself too.